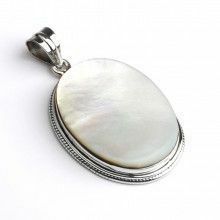 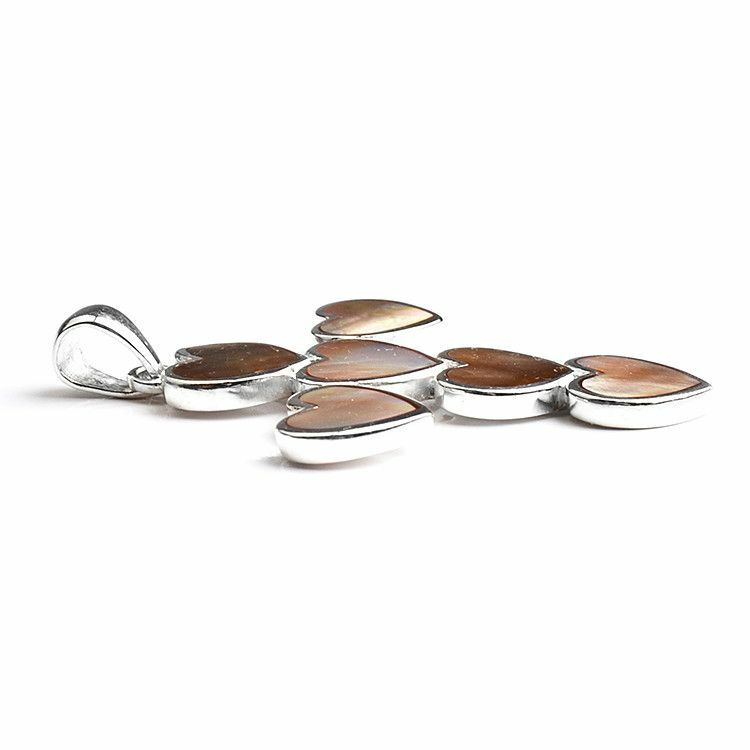 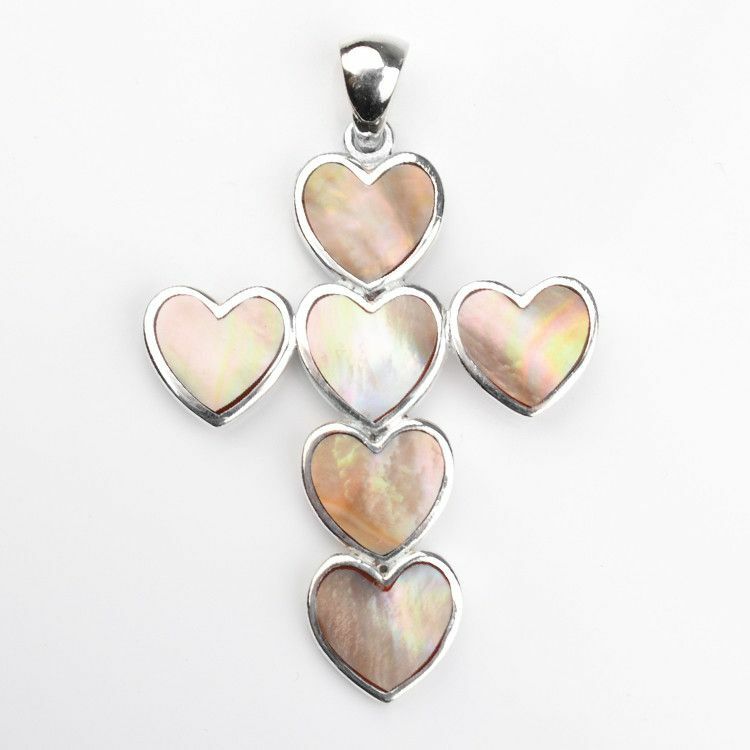 This mother of pearl cross is very elegantly set in sterling silver and is one-of-a-kind. 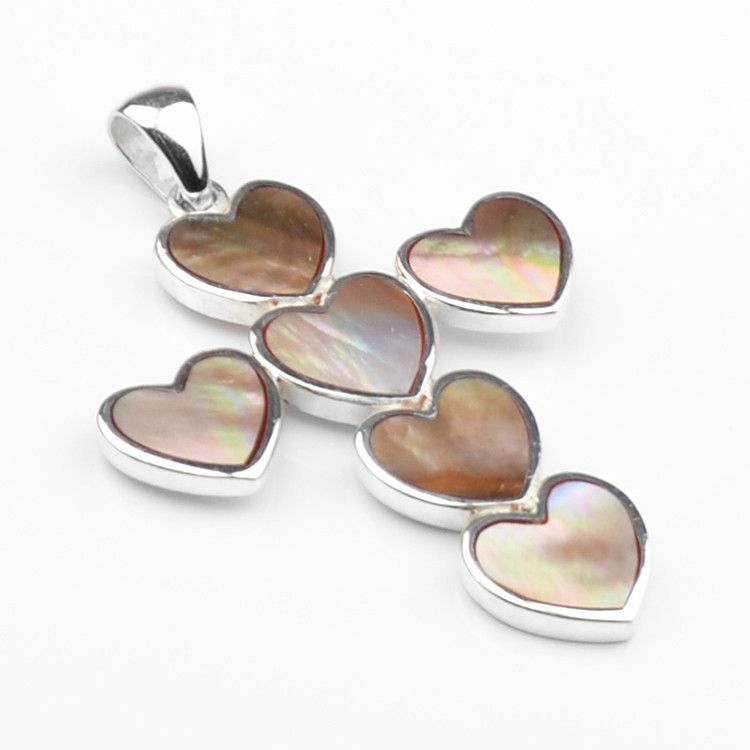 The cross consists of six separate handpicked stones each in the shape of a heart and in their own setting. 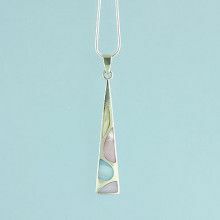 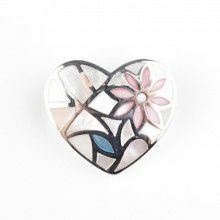 This pendant is sure to put a smile on any face.